Our unique website development methodology provides you with an unprecedented degree of control. It ensures that you are an integral part of the development process, and the results are consistent with your expectations, budget and business goals. The exact process depends on the size and scope of your project, which may include a formal Requirements Definition phase, or a less formal process that still provides you with control of the project, the budget and the schedule. Interview key members of your organization and possibly others, such as customers and suppliers, in order to thoroughly understand your business and your markets. Work with you to define specific goals for your website. Define content required to support those goals, as well as ancillary functions such as interactivity and on-line customer service capabilities. Specify the desired look and feel, consistent with your audience and your objectives. A site map, showing the proposed pages and organization. Artist’s sketches of the home page and sample interior page(s). A specification of any functional processing modules. As these are prepared, you will be asked to provide feedback. After all documents have been completed, we will ask for your approval before proceeding further. This ensures that the site is consistent with your vision and requirements, and minimizes rework. 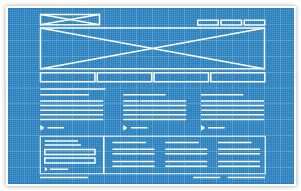 Your site will be developed according to the previously agreed specifications. The user interface and appearance of your site will be developed using standards compliant HTML and tested across all popular browsers and versions in current use. If your site requires functional capabilities such as database access, our programmers will work closely with the front end developers on your project to ensure perfect integration. As work is completed, you will be asked to approve it each step of the way. Your site may be published to a non-public area of the Internet while under development, so that you may view its progress. Before final publication of your site, all elements will be acceptance tested by both our staff and yours, and you will be asked to formally approve it. With our optional maintenance program you receive proactive ongoing support, including quarterly reviews and detailed traffic analysis. Ongoing site enhancements may also be covered under a pre-agreed maintenance program.